Business-friendly environment to the favorable tax structure, there are certain things in the United Arab Emirates that make it a perfect place for those who want to take their business in the stratosphere. However, similar to any other country, the UAE goes through some sorts of setbacks and shackles that potentially result in some challenges that might prevent entrepreneurs from making investments into the country. Despite being company formation in Dubai a hassle-free undertaking, you may find certain things a heavy cross to bear. But, being a career-driven individual, if you remain dedicated to your business establishments in the UAE, you will also find some clever ways to conquer these challenges that prevent yours from getting grip on your business. Being an entrepreneur, if you are looking forward to an onshore LLC formation in Dubai, ensuring the complete ownership of your firm might be one of the most challenging parts of the job. Setting up an LLC (Limited Liability Company) in Dubai requires an individual to find a local sponsor. But finding a local sponsor or pool of reliable sponsors in Dubai who honesty undertake a 51% stake in your business is indeed a painstaking deal. While there may businessmen who can agree upon the criterion, you may not find them all as good as their word when it comes to professional loyalty and trust. In the very instant, finding a trustworthy local sponsor may seem a daunting task, but if you consistently keep on track looking for such folks with great enthusiasm, you will certainly find many to come forward to save your business project from turning into an out-and-out disaster. Recently, in January 2018, the UAE government has introduced 5% VAT (Value Added Tax) that is applicable throughout the Gulf Cooperation Council (GCC). Except for basic food items, healthcare goods and supply, and educational stuff, the tax is mandatorily applied to almost all goods and services. Despite enabling one-window service for taxation in the UAE, the implications and complications might appear in way of cooking your goose before you even plan your plans out. The concern is not as challenging as it seems to be. Having a legal advisor or a safe pair of hands a tax expert can come in handy in the course. Sometimes, opening an offshore bank account in Dubai may seem to be too much like hard work for many, but if you know how to play your cards well, nothing will possibly come in the way preventing you from succeeding. 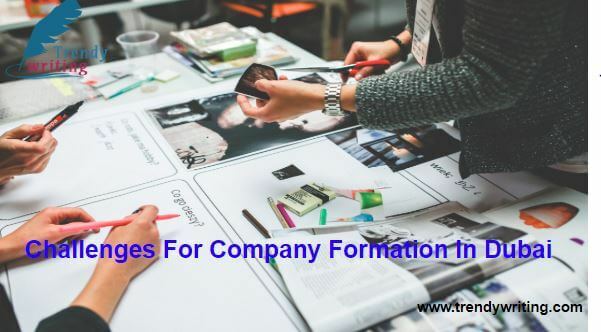 Not just the above two there could be many more challenges in the way when setting up your business game plan for a company formation in Dubai. From project funding to managing revenues and hiring best resources to staff management, several things may be coming in way spiking your guns. But, complications are the spice of a business and if you know how to tackle them all, you can claim yourself to be slam dunk without a doubt. Previous Post: Why Go For The Comparison Website Development?